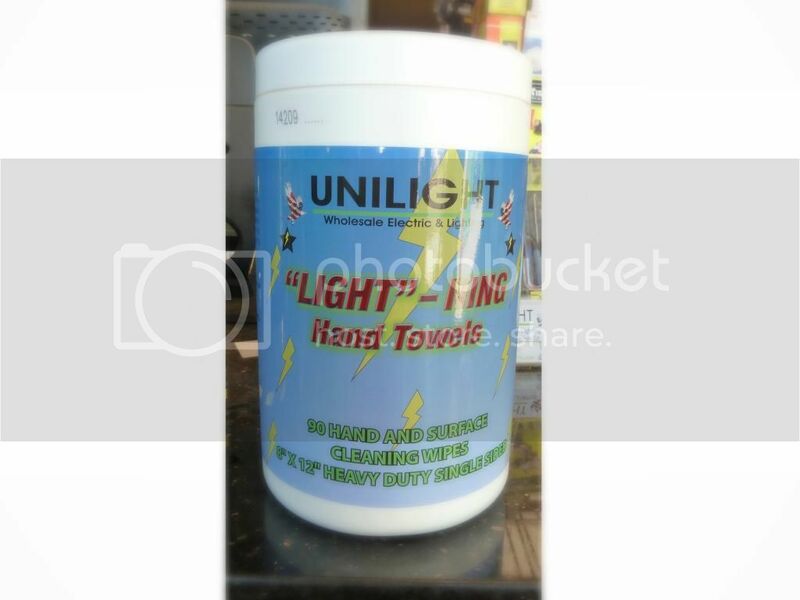 Recently Unilight, has created their own cleaning wipes. The results of the cleaning power in our NEW line of wipes is just AMAZING! They clean even the dirtiest items and make them look NEW, not to mention they leave a great clean smell too. These bottles come with 90 wipes and are multi-purposed. You can use them to clean your hands, tools, machinery, equipment, pipes, and a variety of nonporous surfaces. These wipes are fortified with new generation cleaning agents that can remove the toughest soils such as: tar, asphalt, oil, grease and break dust, and the best part is they will not irritate your skin. One wipe does it all and it is a product that will last. It is sure worth every penny. Do not miss out wether it is to clean the toughest messes or simply to clean your hands, LIGHT-NING Hand Towels, are the cleaning wipes for any mess, see for yourself.